I was originally supposed to be running last weekend at the Marmot 24 as a pair with girl power buddy Marina Ranger, but the concept of navigating for 24 hours did not sound like fun so we made the fairly last minute decision to pull out and look for something else. 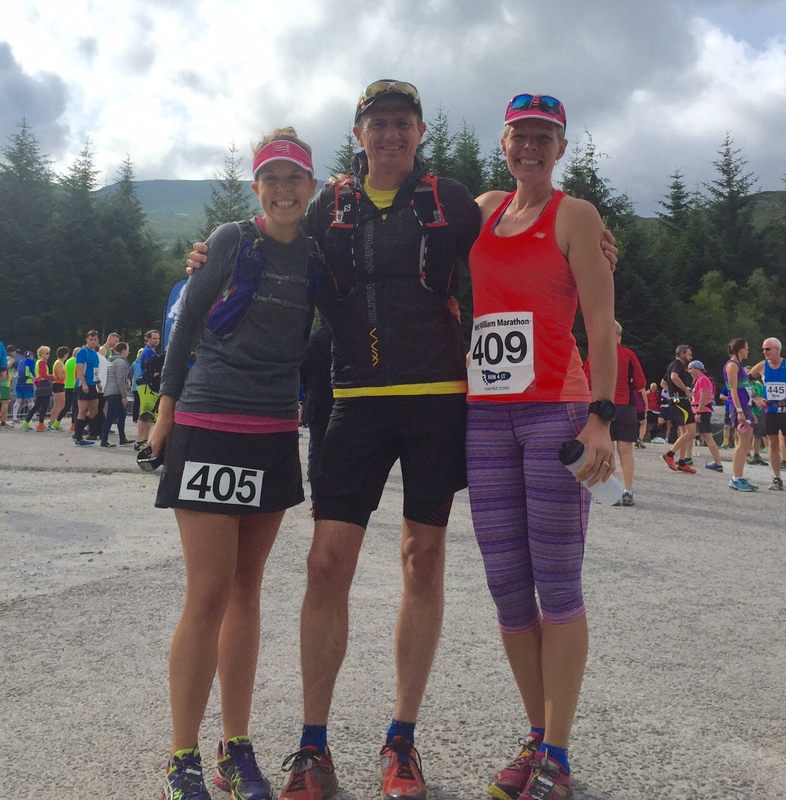 Well Marina found that in the form of a holiday to Bali, Indonesia and I found…..Fort William Marathon! I’d heard about it (FW Marathon) through Rachael Woolston on twitter and thought that could fill the weekend nicely. 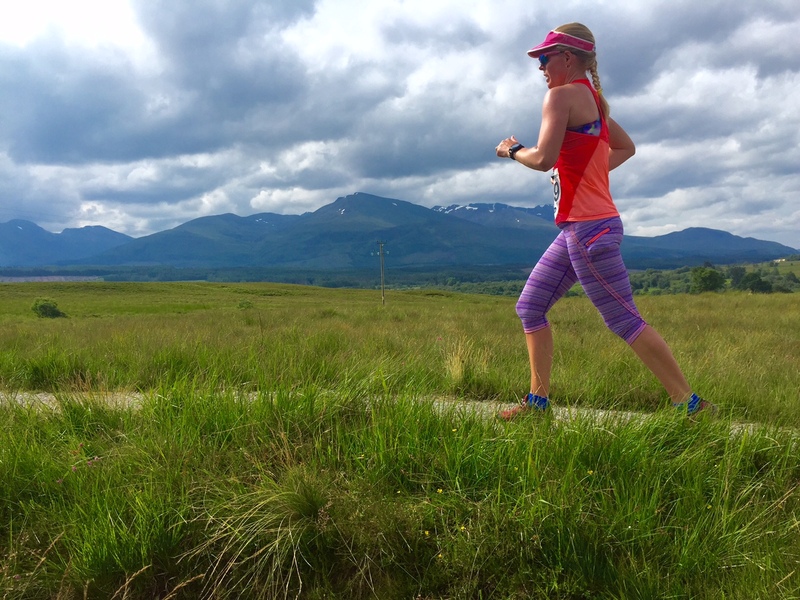 Next thing I know I’ve got a girls weekend planned with fellow ultra babe runner Rhianon West who has been training under my guidance for the last few months and has never been to Scotland so the perfect excuse for a weekend of running, tourism and chatting. And a weekend it was! 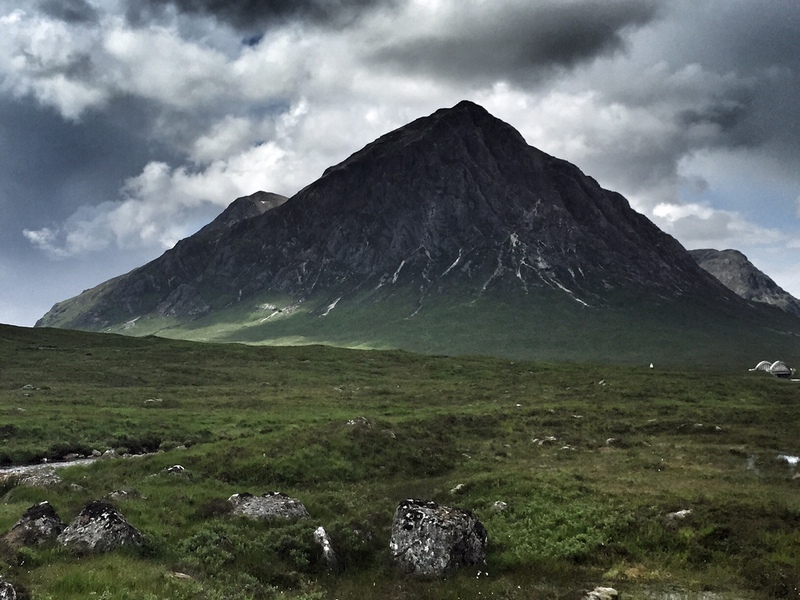 Rhianon saw more of Scotland in 2 days than most would see in a week! Arriving Friday evening she enjoyed seeing Edinburgh in the sunlight from above as she landed, whetting her appetite for a morning running tour around Edinburgh. We got up fairly early to make the most of the day and knocked out a wee 6 mile tour taking in most of the main sights of the city, but turning around before heading up Arthur’s Seat. 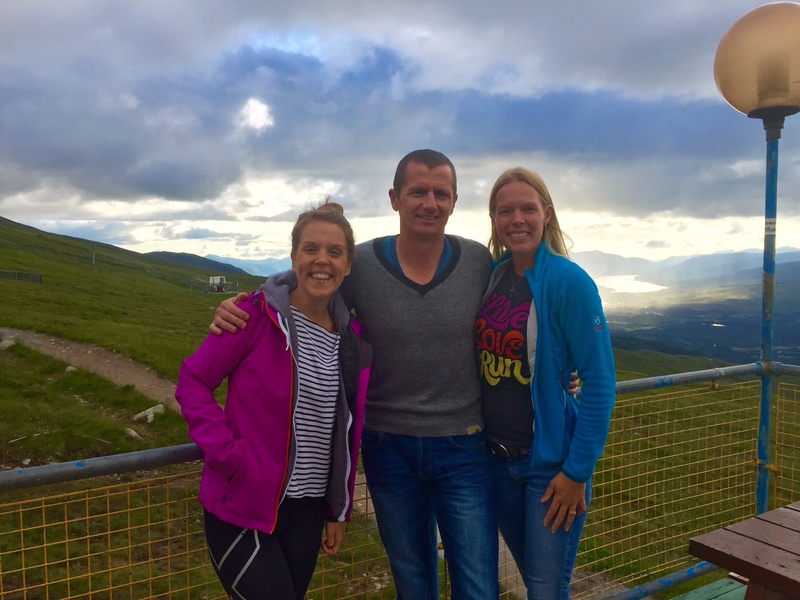 We hit the road to Fort William, with our non-girlie groupie, Dion in tow or rather leading as he was the driver. A stunning drive up with a pit stop at Kings House, Glencoe to see the deer who were persistently hiding in the bushes as they weren’t liking the weather either; before we dropped Dion off at the bottom of Devil’s Staircase to run over to Kinlochleven and then onto Fort William while we were enjoying some absolutely stunning vistas on the way through four seasons in an hour true to Scottish weather. A stop at the Tailrace Inn for a delicious toasted sandwich and a couple of Empire biscuits sorted us out, and acted as a great substitute for a checkpoint for Dion’s run, before enjoying the last leg of our journey along Loch Leven where the weather Gods played ball and we just had to stop at the edge of the Loch to soak it all up. Rhianon was already refusing to EVER go back to London at this point. Fort William is not the most exciting town, especially from a foodie perspective but the organisers of the race had planned a pasta party which I would never normally sign up for, but picturing a cable car trip up Ben Nevis Range to the north face of Aonach Mor 2,150 feet (655 metres) up in Britain’s only Gondola for pasta and a traditional Scottish ceilidh sounded absolutely spectacular and too good an opportunity to miss. 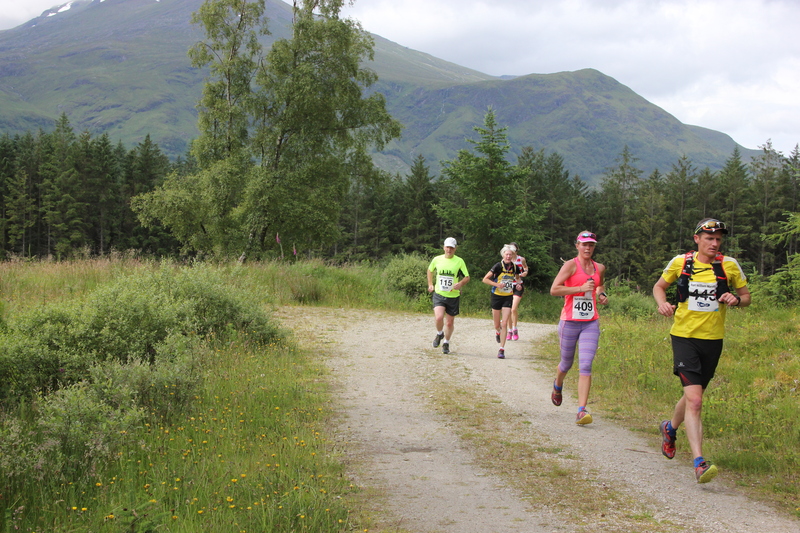 Blessed with sunshine and rainbows for our ascent up Ben Nevis we enjoyed spectacular views and played around on the deck for a while taking lots of photos and chatting to other runners. Unfortunately the dinner was pretty poor which was a real shame, but this has been fed back to the organisers to ensure that next year’s is much better as it will certainly be a wow factor for this marathon moving forward if they can get this right. 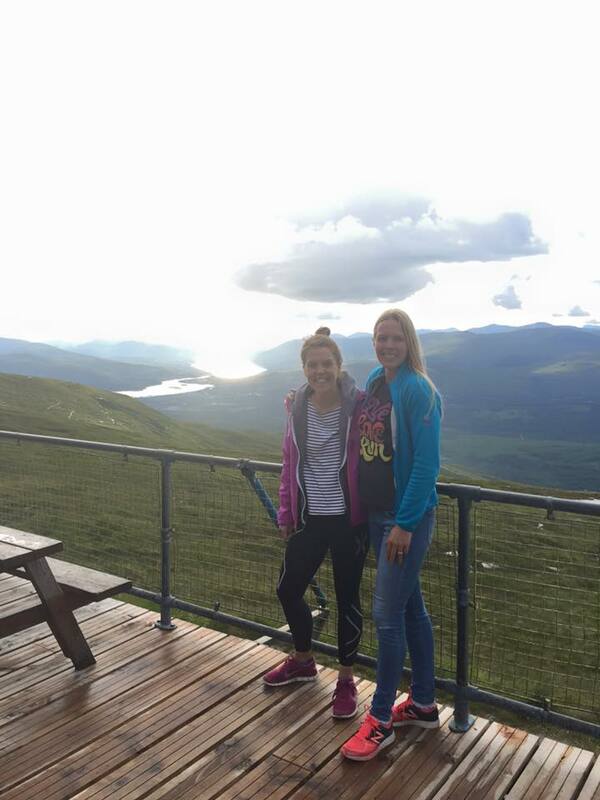 Note for anyone in Fort William, pop into Cobb’s Bar & Bistro for a tasty sticky toffee pudding, it hits the spot! We were seriously considering going for the Sourz shots and night out with the beautiful people of Fort William instead of running the marathon but we abstained, just. After having run (and won!) 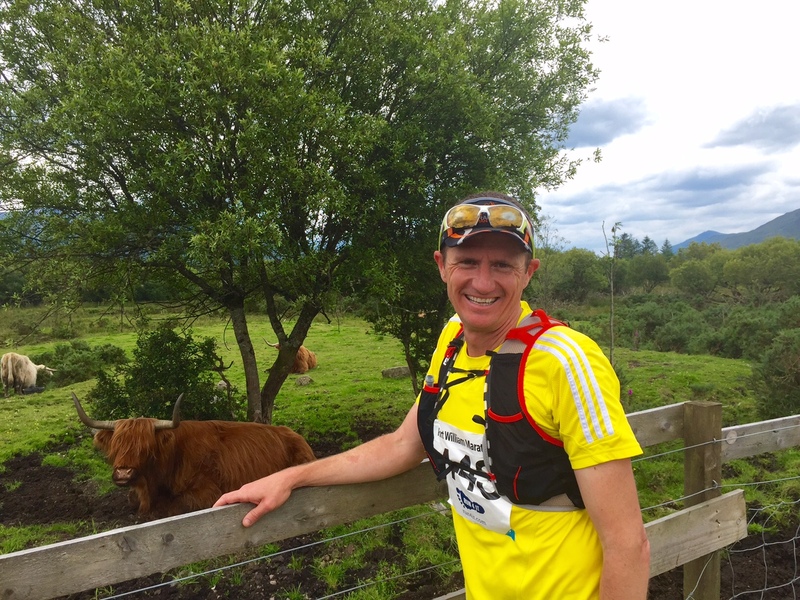 Run the Blades 50k the weekend before, the plan for Fort William was most definitely to take it easy, a training race to work on a bit of speed for the first 20miles and then look to ease off so the legs would still be in good condition for the following week of training. With 292 runners on the starting blocks it was a great turnout for the inaugural event. 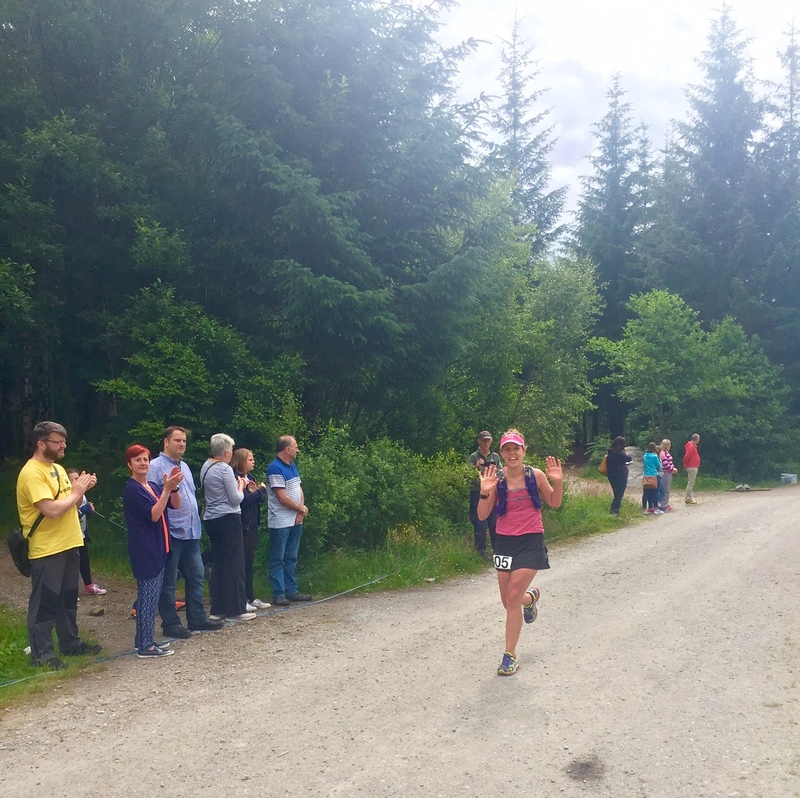 The Scottish Midge Forecast was at a 4, nearly at nuisance levels, and the crew were well prepared with a ‘Smidge that midge’ spraying tent for all the runners & spectators. The weather looked like it was going to hold as well so decisions on clothing were a bit easier to make as we didn’t need to account for the rain until later in the day. Nestled in about a third of the way in the start blocks we made our well wishes and off we went. Dion and I had planned to run together which would be a nice change as we hadn’t done that since Day 1 of Marathon Des Sables 2014, over 18 months ago. We got into a steady pace for the first 20 and steadily made ground through the runners before settling into our natural positions. 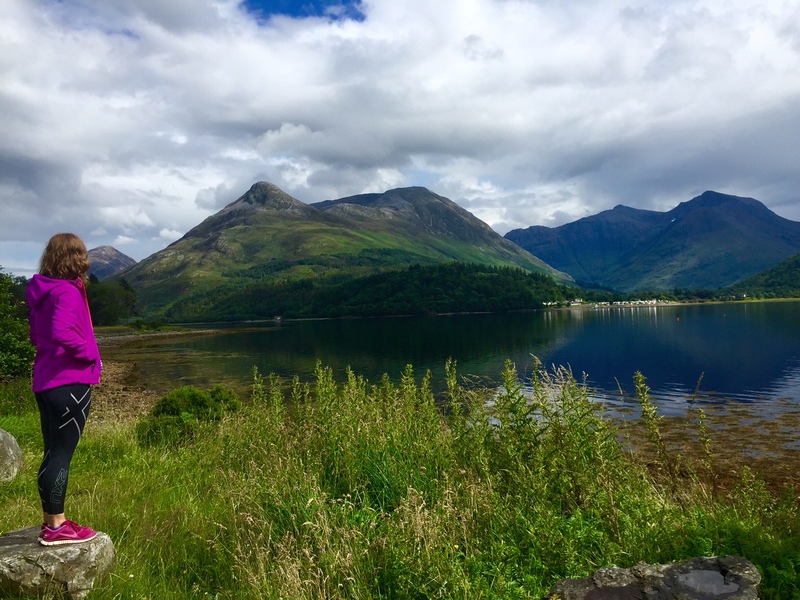 The first part of the trail was slightly undulating gravel roads before turning into some more picturesque single track trails shrouded in trees, with stunning Ben Nevis looming in the background all the while. Not much chit chat for the first 20 miles between us but a comfortable companionable silence while we pushed on, Dion was on a big training week so would be at 76 miles for the week and I was going to hit 65 for the week so the legs weren’t overly fresh but felt good and strong. We literally got to 20 miles and we looked at each other and smiled and said ‘time to chill?’ and from here we did, thankfully as this was along the dreaded boring canal section so that broke it up nicely. 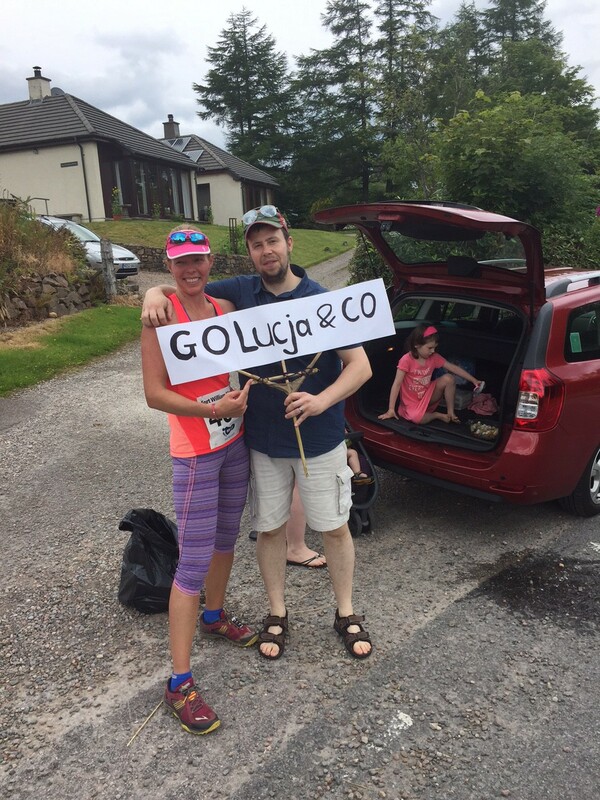 The checkpoints were frequent along the way with water and iso gels along the way to keep you stocked up but he locals were also out in support with sweets so we made good use of those and I met up with fellow twitter supporter, Andrew, who had my first ever race support sign up along with his whole family!! We chatted to him for a bit taking advantage of his vast array of sweeties on offer then ran off, realising we hadn’t taken a photo had to then run back 500m to get a photo with him as well much to the amusement of the other runners. 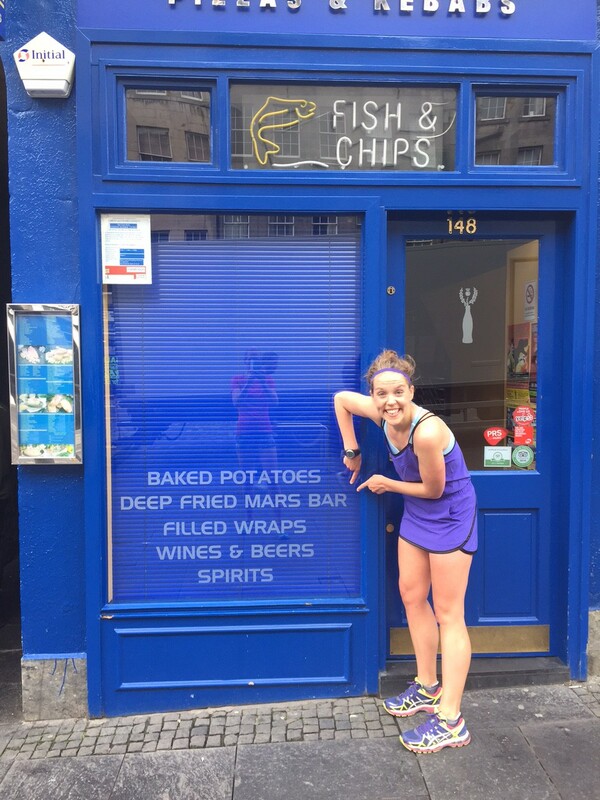 We were disappointed at Neptune’s Staircase as the pre race briefing had mentioned an ice cream shop there and we had purposely packed a £5 note to buy ice creams and wait for Rhianon there, but we didn’t see any ice cream shops!!!! What!!! The last few miles were a bit boring along the road and then cruelly the last 2 miles were all uphill just to finish off everyone’s legs. Great to have some support at the finish line and the announcers were doing a great job of calling out all the runner’s names to get a cheer at the finish. 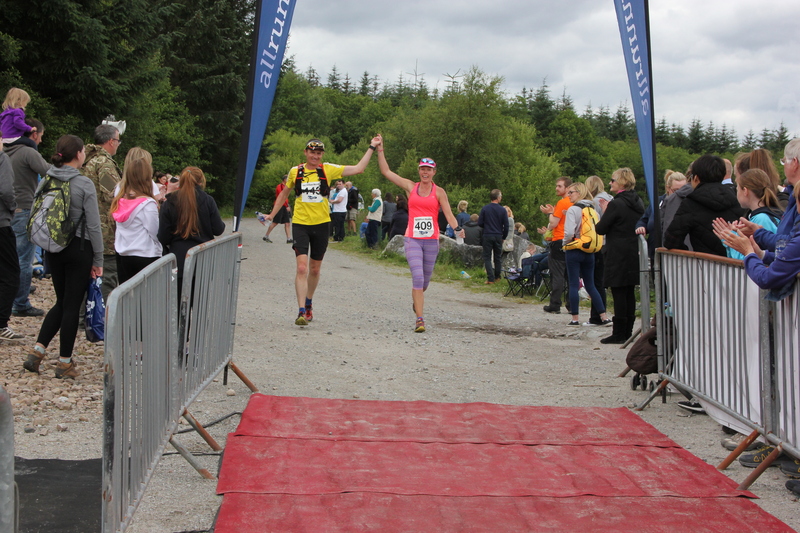 Dion and I finished hand in hand and smiles on our faces with Rhianon finishing strong with a massive smile and jazz hands to complete the trio. The goody bag was a goodin’ too with a fab medal, T-shirt (that fits! ),banana, Tunnocks caramel wafer, Ben Nevis distillery miniature whisky and jelly beans. Massages were available at the finish but £7 for 15mins was a bit steep I thought. Having worked up a good appetite, no trip to the Highlands is complete without a stop at The Real Food Cafe in Tyndrum where we all enjoyed a tasty fish n chips, though the Southerner amongst us didn’t get fully involved with the curry sauce on chips, it must just be a Northern thing! Q1-What was the best part and what was the worst part of FW Marathon? Q2-Would you recommend this marathon? A2-Would recommend for those wanting to make the step between road running and trail for sure because the ‘trail’ bits were not technical, you got all the ups of trail (scenery, greenery, space) without the need for technical trail running skills. Q3-Would you consider other events in Scotland? Q4- How would you rate the marathon in terms of ‘hardness’ compared to others you have run? A4-It was the easiest ‘trail’ event I’ve done, hills were not too severe and trails very runnable, it would have been a different story if the weather was different though I’m sure. Q5-Have you tried your whisky yet? Or the Tunnocks? A5-I gifted the whisky to my partner, Graham and the wafer lasted about 2 minutes as did the jelly beans. Excellent medal! Good value marathon for the price. Running for ice cream (& fish supper)!